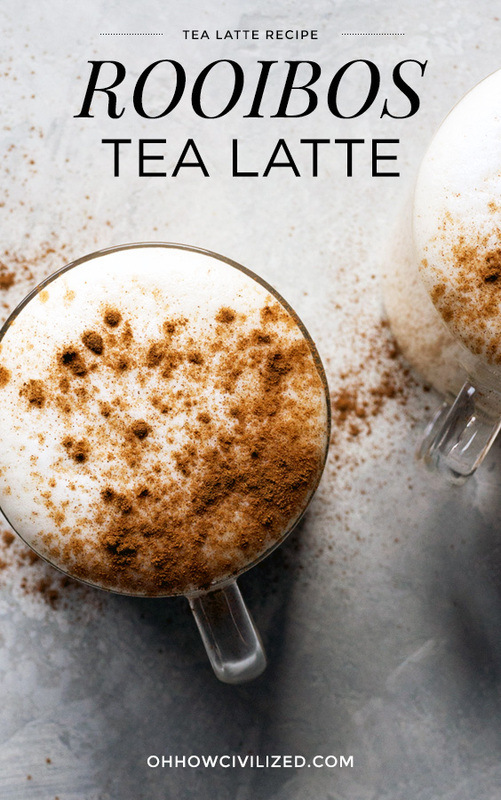 Rooibos latte is a cozy hot drink perfect for evenings since there’s no caffeine. Mine is made with vanilla extract and topped with cinnamon to make it extra tasty. 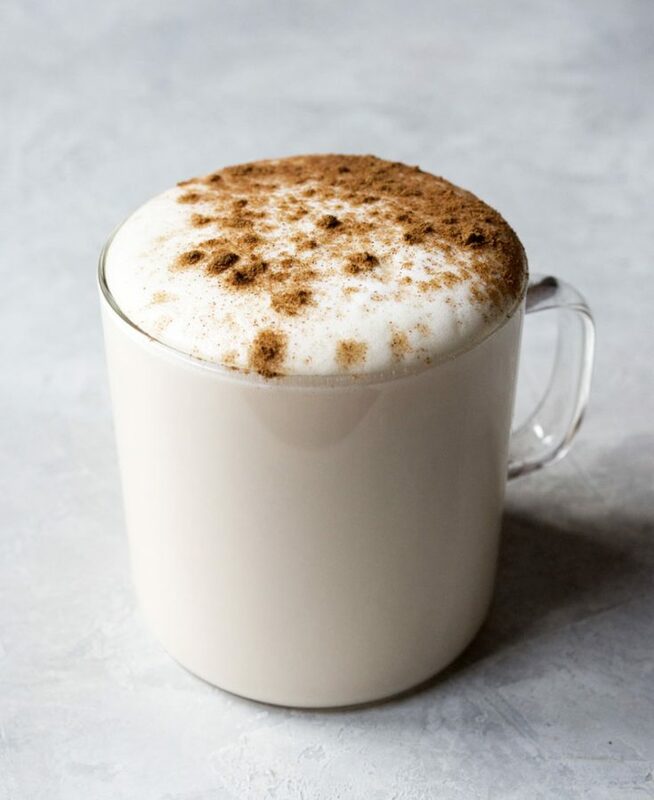 I’ve been making lattes pretty much every day thanks to my milk frother and recently switched it up from my usual chamomile tea latte to one made with rooibos at night. 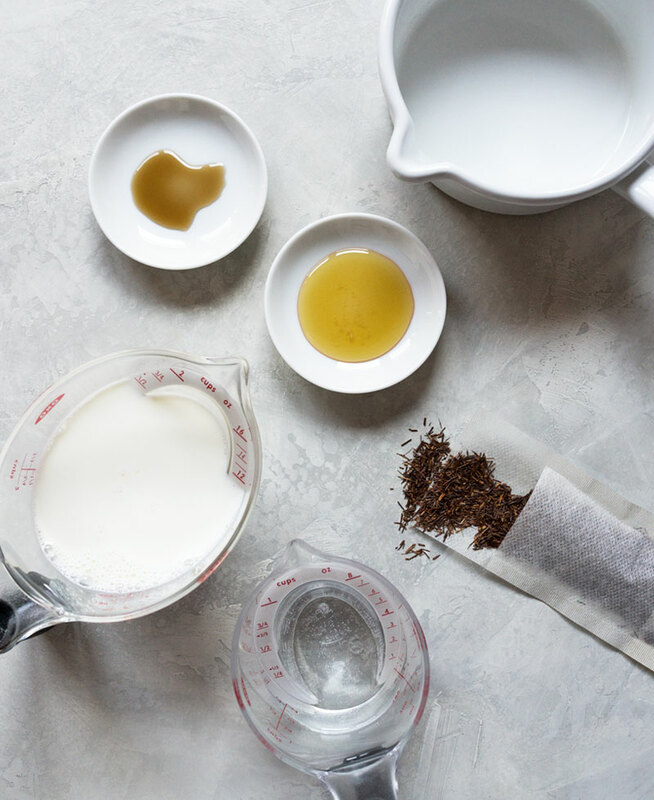 This rooibos latte recipe is pretty simple and I like to customize my lattes with add-ons to make it a little more special. With this one, I added honey, vanilla extract, and topped it with cinnamon to enhance and sweeten the latte. 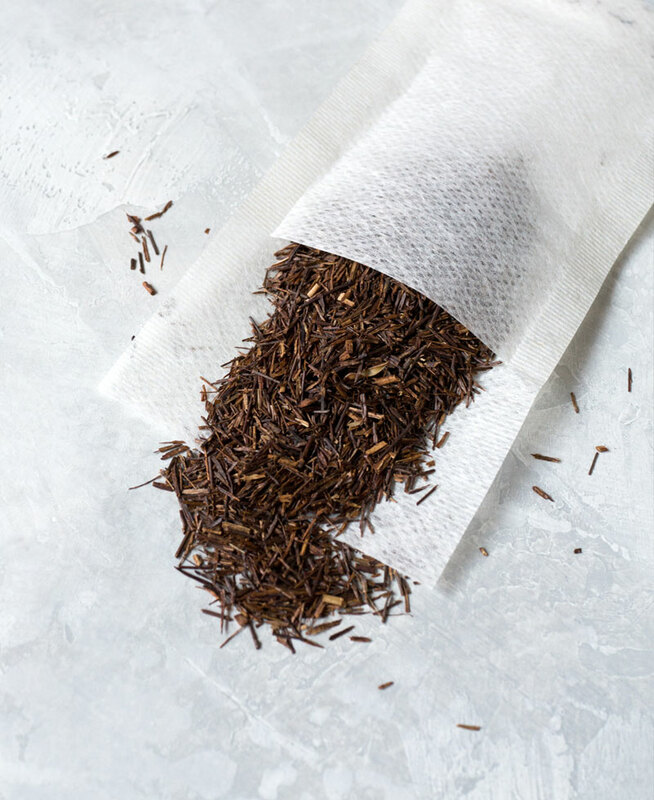 Rooibos is a herb from South Africa so it’s not a true tea. A tisane, or herbal tea, rooibos means “red bush” and it’s pronounced ROY-BOSS. Rooibos is reddish brown in color and doesn’t have any caffeine which makes it a great drink for the evening. It has very little tannin, so no matter how long you steep it for, it’ll won’t get bitter. You can drink rooibos steeped in hot water but I like it with milk and sugar. Loose or in tea bags. If using loose, use a tea filter. Saucepan with a spout for easy pouring. I’ve been drinking all my tea lattes out of these mugs. 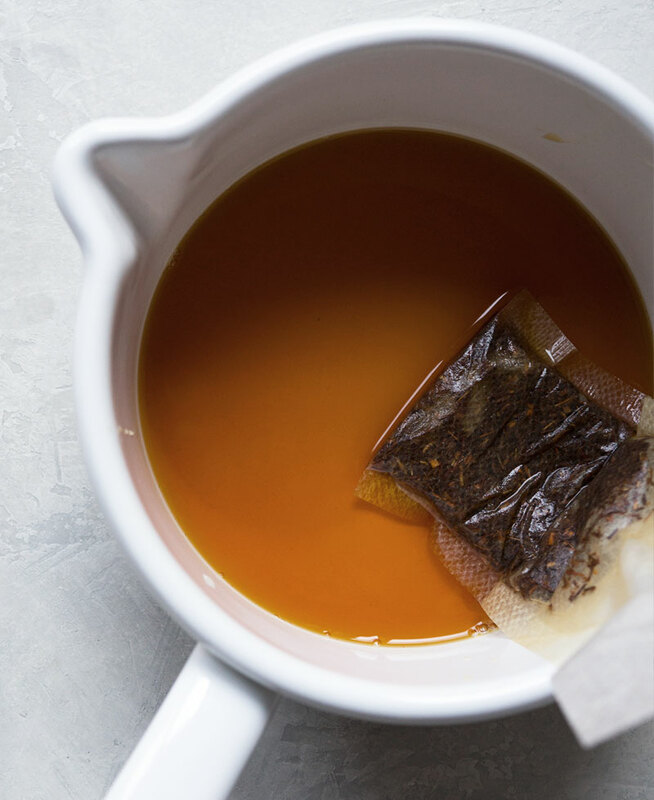 Usually I say to go with loose tea instead of tea bags since the quality is so much better with loose but for this recipe, I’m fine with tea bags since it’s easier to work with. I prefer to let the loose tea steep in the water floating free but rooibos is too small to work with and can make a mess. I put the rooibos in tea filters to make it easier. The rooibos latte involves two parts. One for the rooibos and one for the milk. I steep and combine all rooibos ingredients in a saucepan. That part takes less than 10 minutes. 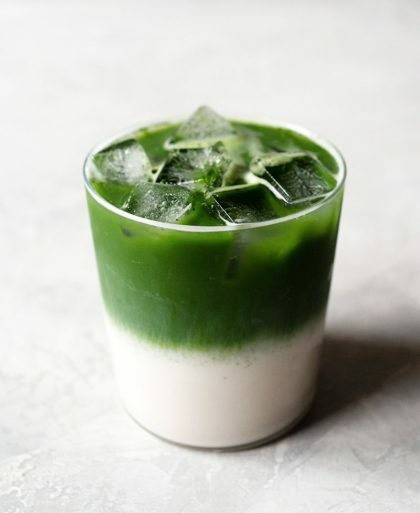 The next is the frothing of the milk. In my book, a drink isn’t a latte without a nice froth. If you don’t have a milk frother like mine, you have a couple of different options to froth milk. First, heat milk in a saucepan but be careful not to burn the milk. Simmer and stir to prevent a protein skin from forming on top. 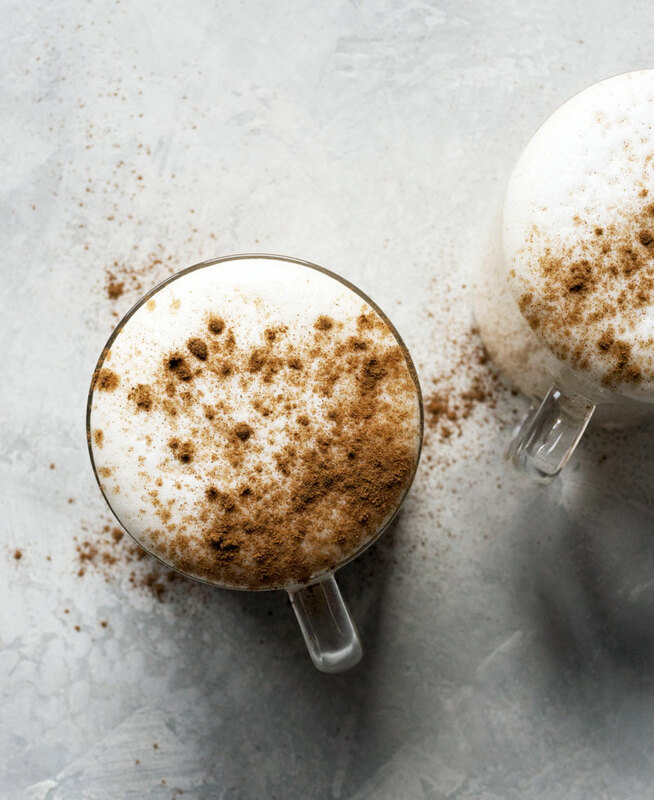 Once milk is hot, use a handheld frother, to create foam. I used to use this method before the milk frother but I found the foam to be dry and lacking in creamy texture. Another method is to use a French press. Hot milk gets pumped with air and the French press creates a nice froth (see my post) but I hated having to do extra dishes. About a third of the drink is the rooibos tea with honey and vanilla extract. You can drink the rooibos that way without adding any milk and it’s still good. The rest of the cup is filled with the milk. 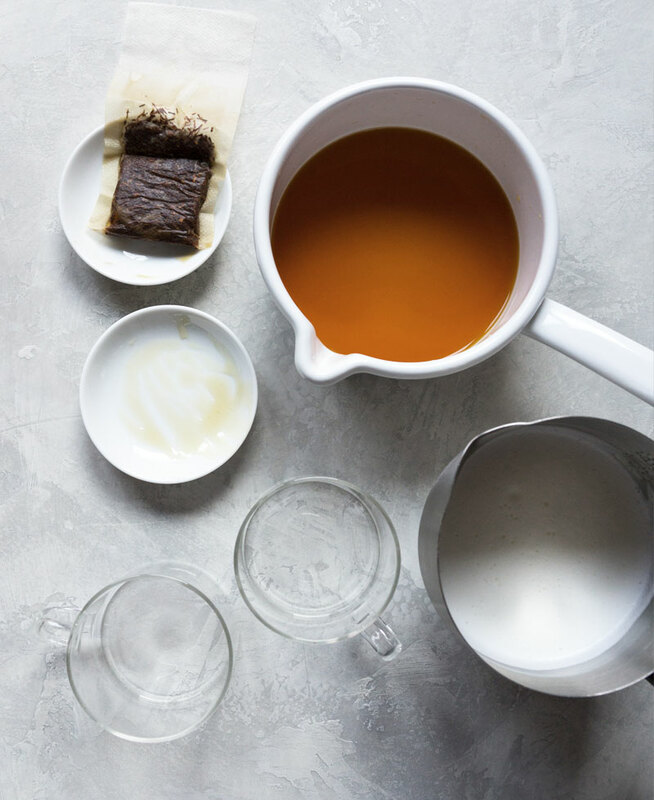 The recipe makes two rooibos lattes. Top with cinnamon if you wish. 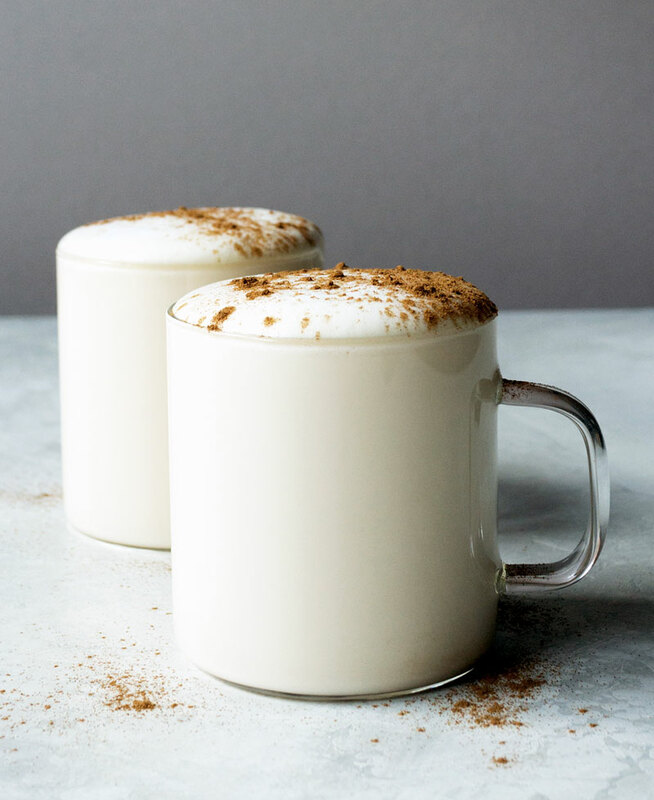 Rooibos latte is a cozy hot drink perfect for evenings since there's no caffeine. In a sauce pan, boil water and take off heat. Steep rooibos for about 5 minutes. Add honey and vanilla extract. Heat milk using a milk frother. Divide rooibos tea into two mugs. 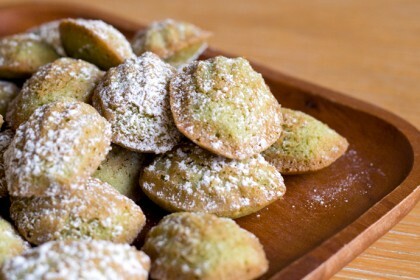 Fill to the top with milk and top with cinnamon. Great mugs! Are those re-purposed French presses? I've use my small French press to steep tea. Hi Georgia, I got the mugs from Bodum and they match the french press. I just looked but it looks like they don't sell them anymore. Same here, I like to use the french press for tea! Just as a tip for your readers. Incase you don't have an electric hand held frother I have been frothing milk with a small french press for years. Pour hot milk just above the screen and press the plunger up and down until the volume of the milk fills up the press. 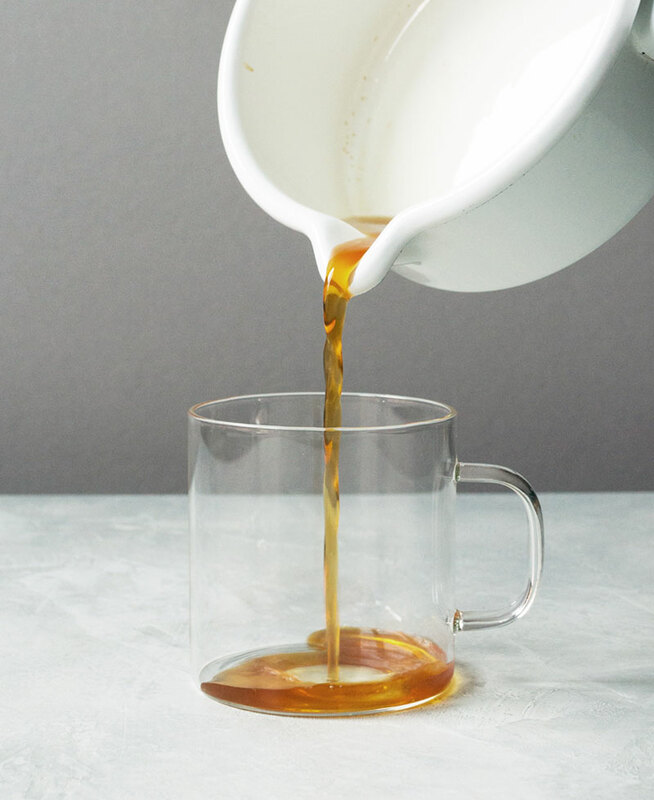 I do this in a 12oz Bodum press and the volume goes from about 2 ounces to 12 ounces (volume) of frothed milk in less than a minute. Hi Brian, thanks for the fantastic tip! I'm going to give it a try the next time I make a latte! Hi Margaret, yay! Happy to hear you enjoyed it! 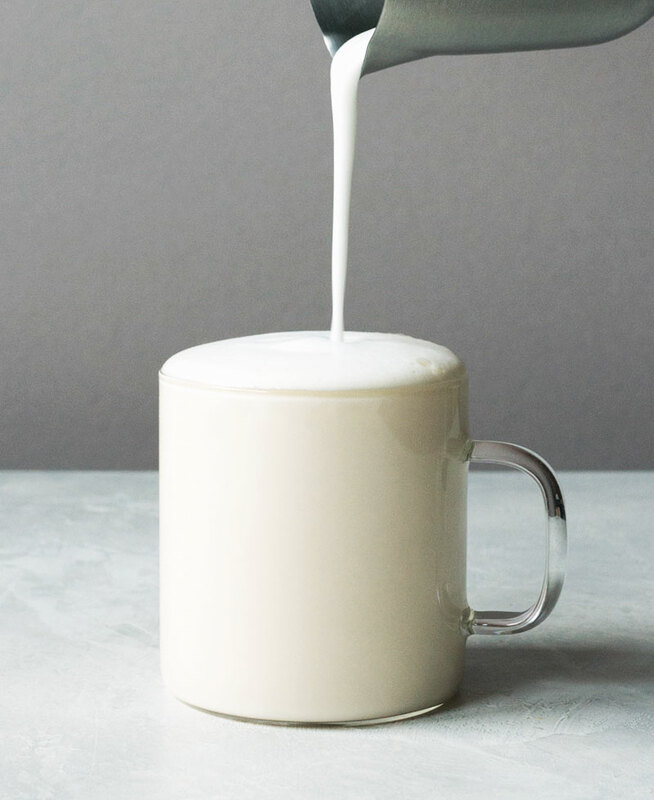 I made it with 1 part rooibos to 3 parts milk, since that's what I like, but you're right, it may not be enough for others. So maybe 1 part rooibos to 2 parts milk may be better. Good tip! 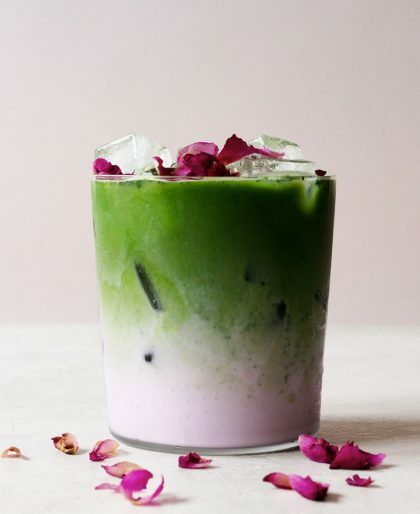 Hi there, just found your blog when I googled rooibos latte and really excited to read through more of your posts! Hi Jenny, yay! Happy you found my blog!